In our WordPress Plugin you have the option of showing or hiding prices. This option, for some, is checked by default so initially prices will not display. 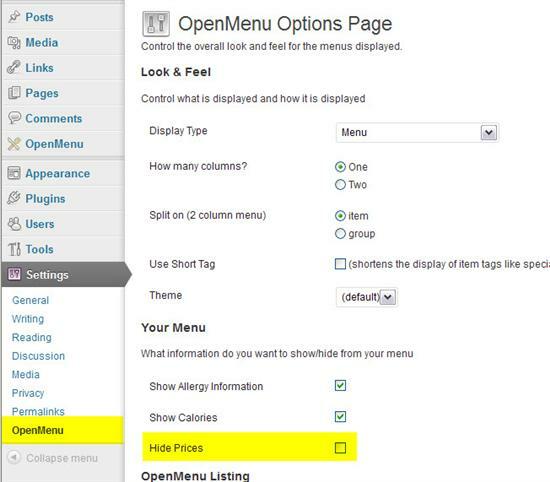 To fix this go to the global OpenMenu settings and uncheck the ‘Hide Prices‘ option.